Aloe: drawn from Arabic word “alloeh” meaning- “shining bitter substance”. Vera: is a Latin word meaning “pure”. Stimulate immune system functions – for all illnesses and conditions that compromise the immune system. 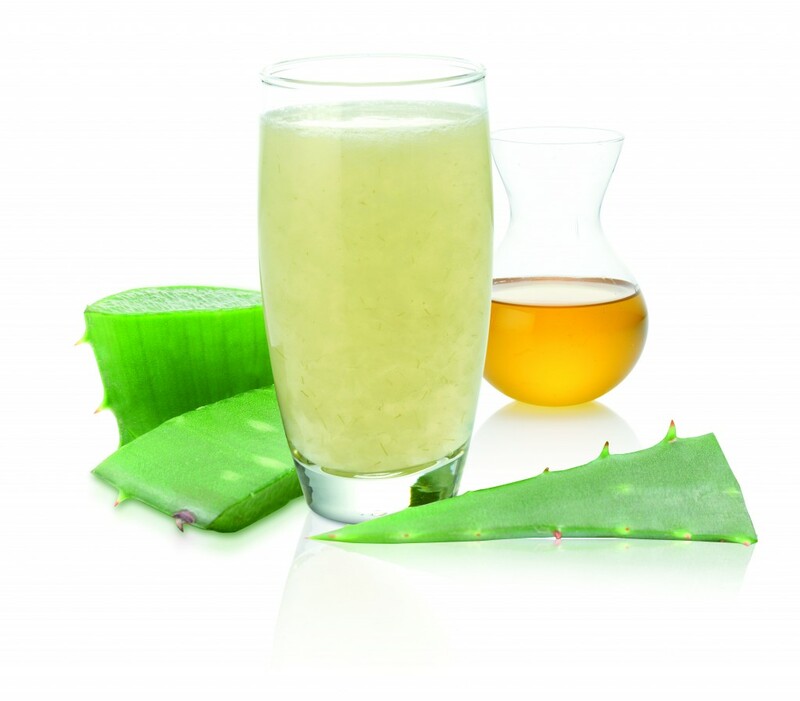 Ingestion of aloe appears to assist with bolstering and improving the immune system. Aloe Vera has many Anti-oxidant properties that assist in protecting the body from free radicals, thus reducing one`s risk of developing a variety of health problems. 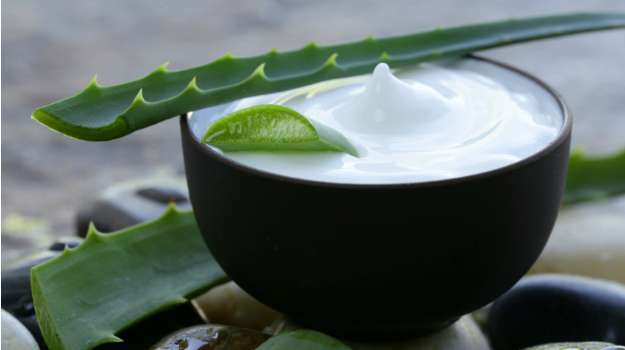 Skin (Dermatology): Aloe Vera gel is anti-pyretic (it reduces heat). In treatment for burns and scalds it helps in replacing lost fluids without closing off Oxygen, which is crucial to the repairing process. It reduces the chance of infection and the danger of scarring. The skin absorbs moisture up to 4 times faster with Aloe Vera, protecting the outer layers of the skin by helping it to reorganize skin cells. Aloe Vera gel is anti-pruritic (It soothes itching): Aloe Vera gel promotes healing and quells itching conditions of Psoriasis Lesions. Hair Care: Aloe Vera Gel applied to the scalp and hair helps restore the pH balance and nutrients to the hair roots and follicles. 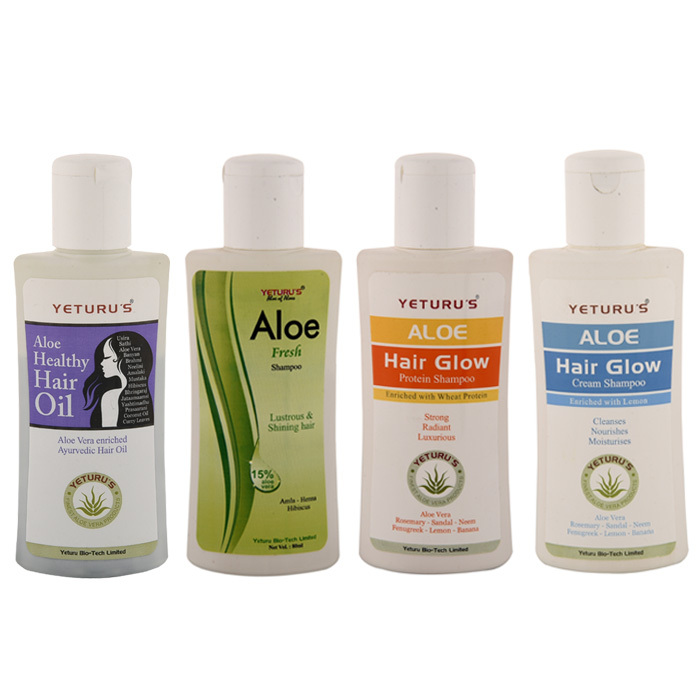 Being a natural humectant and emollient it prevents dandruff. Yeturu Farms has been growing imported American Aloe Vera species with YELLOW FLOWER called BARBADENSIS MILLER past 15 years. 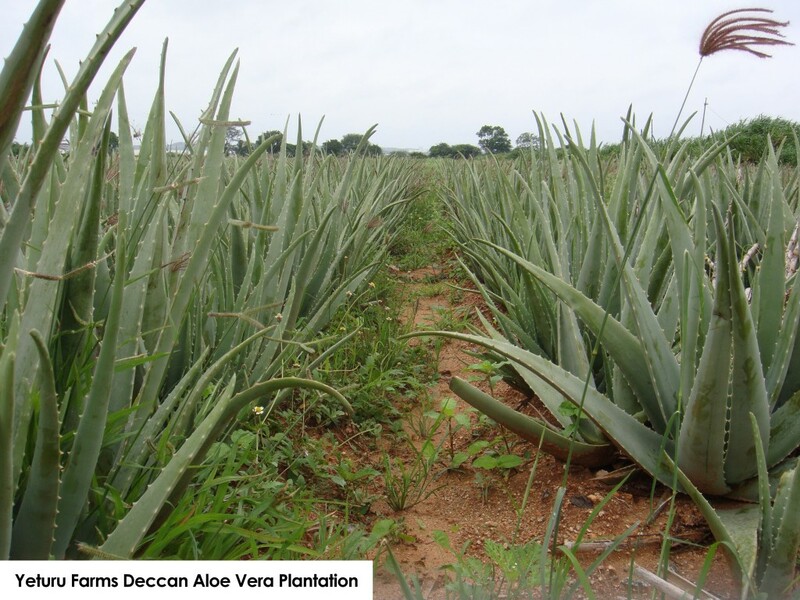 FARMING/ PLANTATION: Aloe Vera is normally done at a spacing of 2’x3’ or 3’x3’ or 3’x3’ double line with drip irrigation or by Irrigation by Rain Gun is preferable for good yields. PLANTS/PUPS/ NURSERY: available depending upon the age and size of the plants ranging from 6, 9 and 12 months @ Rs 70/-, 130/- and 180/- for each, 10 to 15% escalation applicable, excluding any prevailing Taxes & Transportation charges. 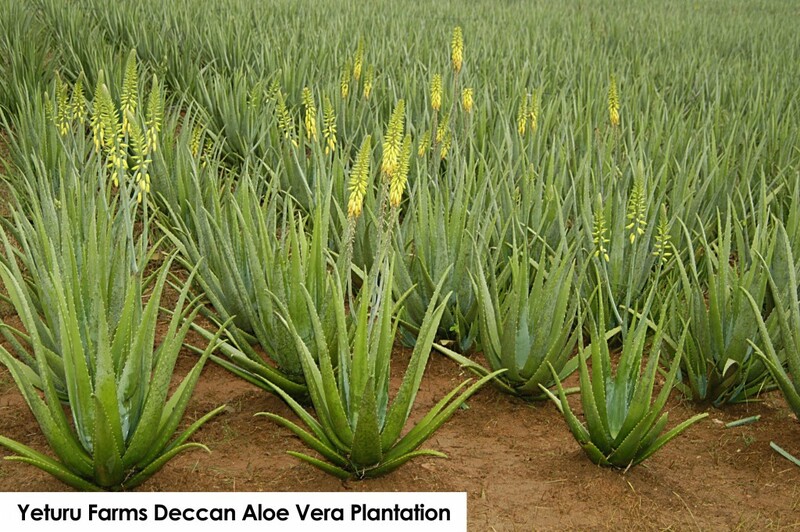 INCOME/ REVENUE: The yield of 100 to 120 Tons per hectare is expected from Aloe Vera farming depending upon the climate/ monsoons and irrigation facilities. The present market for this yellow flower Aloe Vera leaf is ranging from Rs 5000/- to 10,000/- per ton depending upon the size of the leaf etc. FRANCHISE: Farmers and Industrialists having capacity to grow multiples of 30 Acres every year for a period of 3 years and having capacity to establish a facility for Juice extraction and to manufacture different product line ranging from health / dental/ hair/ skin and several cosmetic products are welcome to start the same as a joint venture or under our consultancy. Aloe Vera raw juice with Pulp. Aloe Vera Juice for Diabeties. Aloe Vera Juice for Joint Pains. Aloe Vera Juice for Slimming. 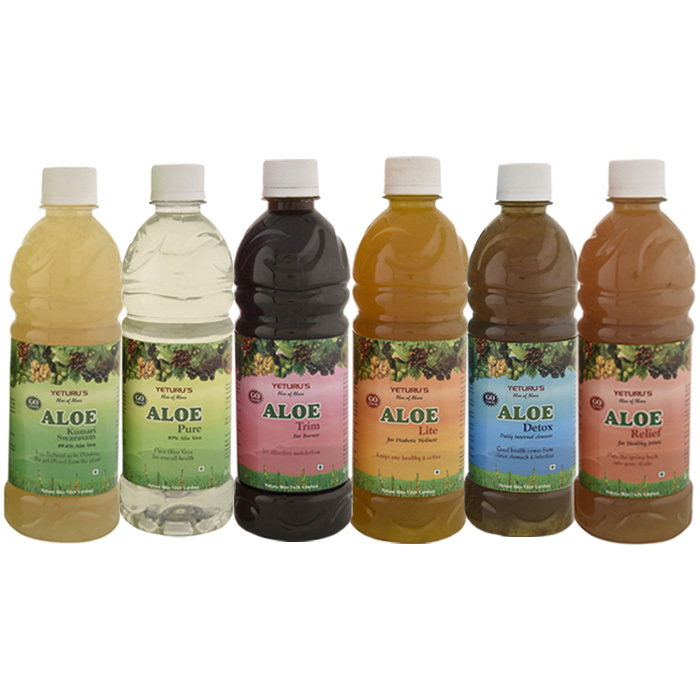 Aloe Vera Juice for Vitality and strength. Aloe Vera Tooth Paste for Healthy teeth. Aloe Vera Tooth Paste for Sensitive teeth. Aloe Vera Shampoo for dry Hair. Aloe Vera Shampoo for Normal and oily Hair. Aloe Vera Juice for Tub bath. 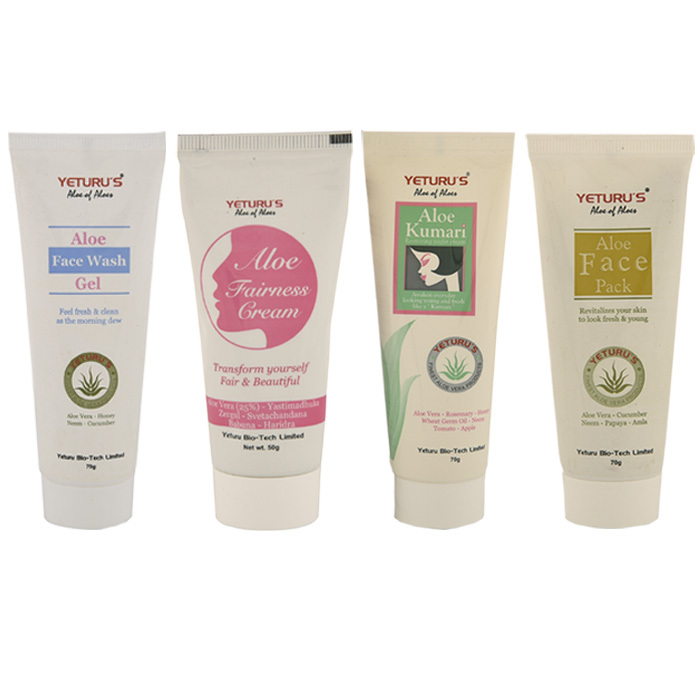 Aloe Vera Hand & Body Cream. 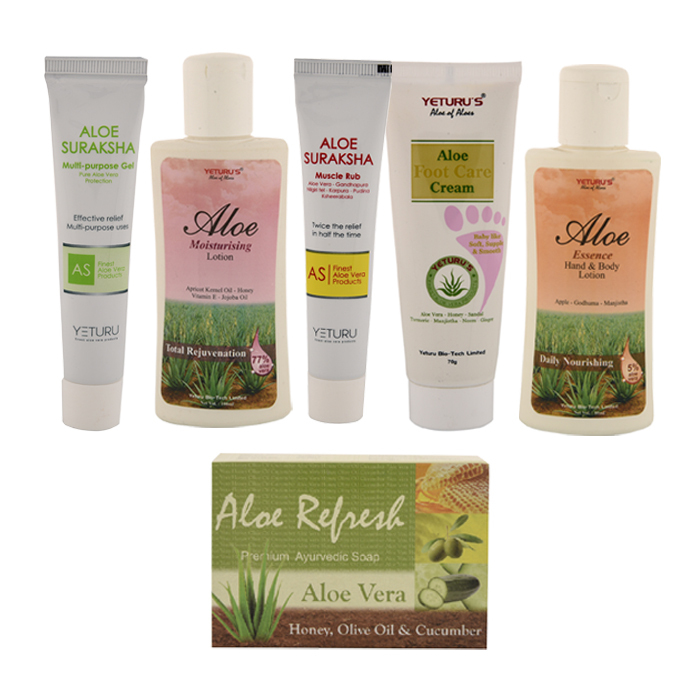 Aloe Vera Foot care cream. Aloe Vera Soap for dry skin. Aloe Vera Soap for oily skin.